The Main Hall of Petah Tikva is a newly renovated, modern, and stunning facility ideal for weddings, bar mitzvahs or for any simcha. We invite you to visit Petah Tikva and see our spacious banquet hall with soaring ceilings highlighted by an eye-catching chandelier that creates an ambience of elegance and prestige. 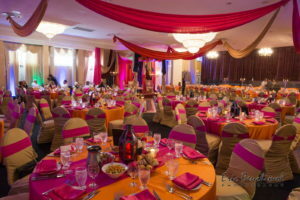 A newly renovated, large, spacious, rectangular dance floor and brand new elegant and opulent carpet beautifully compliments the decor. Modern wall sconces positioned between Corinthian columns add a touch of class as well as soft mood lighting. The Main Hall can accommodate approximately 290 guests and can expand to approximately 330 guests when the partition is raised. Click here to see more information about our caterer. To book the Main Hall please contact the Synagogue office at 416.636.4719. 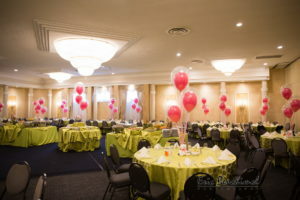 Looking for a Hall to accommodate 25-125 guests for your event? 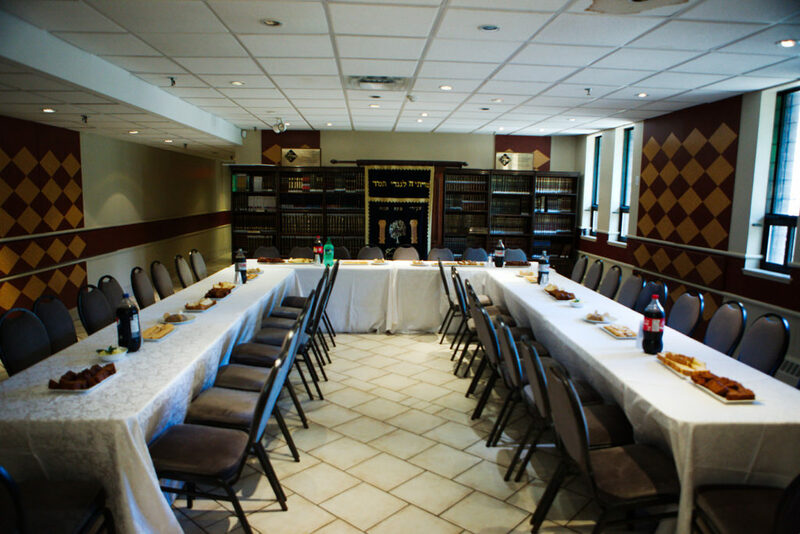 The Sisterhood Hall, located on the lower level, features attractive décor and access to a modern kitchen for small and intimate simchas and events. For more information or to book your event, please call the Synagogue Office at 416.636.4719.